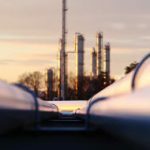 Earlier this year, Exxon Mobil announced their plans to expand its oil pipeline network from West Texas to the Houston area. 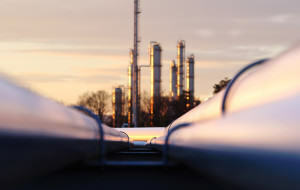 Exxon is partnering with a Houston-based company, Plains All American Pipeline, to construct the multibillion-dollar Plains Basin pipeline stretching from west of Midland, TX to the Houston and Beaumont regions. West Texas is known for its oil-rich land deposits and the area is commonly referred to as the Permian Basin. Oil production has reached record highs in the Permian region. Oil output in the area has doubled since 2015 and production levels have now reached 3.4 million barrels per day. This is reaching the pipeline’s current capacity of 3.5 million barrels per day. The increased supply is now creating bottlenecks due to the lack of pipelines in the area. Most major crude pipeline projects are directed to the Corpus Christi area which is increasingly becoming a hub for petroleum exports. Early in 2018, Exxon Mobil announced it planned to triple its oil and gas production in the Permian region of Texas by 2025. In 2017, the multinational oil and gas corporation purchased 275,000 acres of land from the affluent Bass family for $6.68 billion. This land, full of oil and gas leases, is estimated to have 3.4 million barrels of oil and will undoubtedly help Exxon Mobil reach its goal. The oil and gas industry faces its fair share of challenges. Pipeline bottlenecks in North America have led to fewer well completions. Tensions are growing in the Middle East, and freight costs are rising to transport goods. But in spite of this, oil prices are on an upward trend and the energy sector is in a position to end 2018 successfully. With a great deal of work ahead of them, the oil and gas industry has many new jobs available, particularly in Baytown, Texas. Exxon recently constructed two new facilities at its Mont Belvieu plastics plant 20 minutes north of Baytown, and they are currently in the process of a $1.9 billion expansion of its Baytown petrochemical complex. This expansion is expected to create at least 25 new permanent jobs. 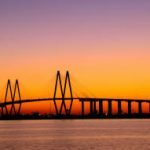 With so much growth occurring due to these proposed pipeline projects, Baytown is seeing an influx of visits from business travelers. If you’re planning on staying in Baytown, contact Premier Corporate Housing. 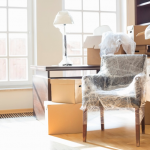 We have strong professional relationships with apartment companies in the city which allows us to provide corporate travelers and their families with affordable and furnished corporate housing. Contact us to learn more and get a free quote.